In our secondary education School a VET about Microcomputer Systems and Networks is being taught. Vocational Training makes sense at the time of doing Professional Internship, in which students get in contact with the labour market, put all the learnt knowledge into practice and prepares for their subsequent job placement. However, the employability of our students is relatively low, because of the environment in which we find ourselves and because of the lack of a relevant business companies that requires technicians in the IT sector. Therefore, we need to provide our students with new tools, and better professional, personal and social skills, in order to apply for a job with greater success. In order to achieve that, we intend to carry out an Erasmus + mobility project for students to complete their internship in Italy, in the Veneto and Emilia-Romagna regions. This area stands out for its large business network so that our students can learn and improve their knowledge, develop their ability for initiative and entrepreneurial spirit, and improve their linguistic, personal and social skills. In short, we intend to improve the employability of our students, while the teaching staff can renew or update their content, methodology and teaching practices, mainly in the monitoring of the internship, thanks to the feedback provided by Italian companies in which the mobilities will be made. The mobilities will be made by 6 students with an age between approximately 17 and 25 years. They come from an unequal socioeconomic environment, so we have students with fewer opportunities from an economic point of view. Their level of English is relatively low (most of them only have an A2 level), although their professional skills tend to stand out positively when doing their internship. However, there is lack of autonomy and initiative, which may also be due to the fact that they have not travelled either within Spain or abroad. The participating students will do an internship in Italian companies for three months. It is intended that there will be a cultural immersion that is very rewarding for students, while improving their professional skills in companies, within the computer sector. They will learn how to communicate in other EU languages, how to improve their practice and professional experience and how to acquire greater autonomy and initiative. In order to carry out these mobilities successfully, it is necessary to carry out a Pre-Preparation Visit in which a teacher will work with the partners in the destination country, signing all the agreements and visiting the host companies. In the same way, the need for a companion for the first 3 days of the student’s stay is also taken care of, since some of them are minors, and also, they have little experience abroad. A better cooperation between the world of education and the world of work, with new relations between our school and the productive environment and the labour market both at a local level and in a broader way, at a national and even international level. Renewal of the teaching activity thanks to contact with new business environments in the destination country. Improvement of the professional, personal and social skills of our students. Improvement of their linguistic, communication and social skills. Internationalization of education and training, particularly in the field of vocational training (VET). 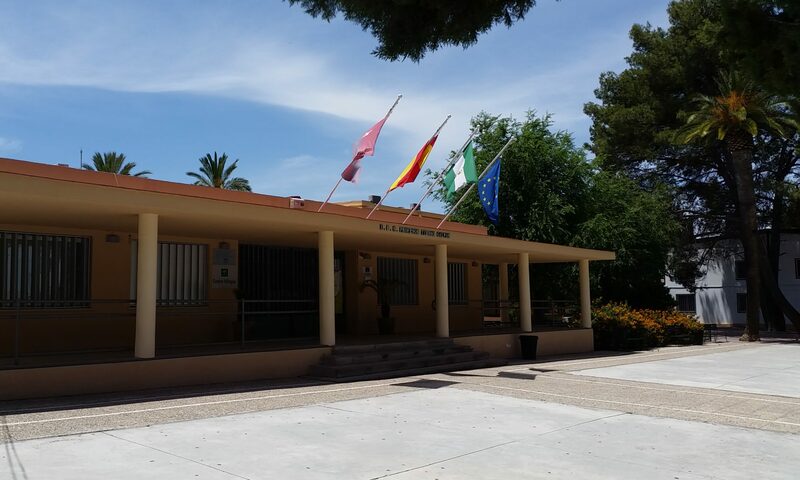 Improvement of the international dimension of the educational center, and participation in other European projects (for example Erasmus + KA2).